ST. PETERSBURG, FL. - (October 24, 2017) – Former 147-pound world champion Devon Alexander will battle rugged contender Walter Castillo in the main event of Premier Boxing Champions TOE-TO-TOE TUESDAYS on FS1 and BOXEO DE CAMPEONES on FOX Deportes Tuesday, Nov. 21 from The Coliseum in St. Petersburg, Florida with televised coverage beginning at 8:00 p.m. ET/5:00 p.m. PT. The 10-round bout will headline a show promoted by Warriors Boxing and Fire Fist Boxing Promotions and features a 10-round co-main event between unbeaten welterweight prospect Miguel Cruz against once-beaten David Grayton. 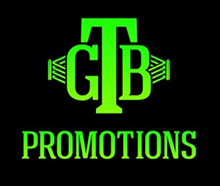 Two of the fighting Russell brothers, Antonio and Antuanne, brothers of featherweight champion Gary Russell Jr., will enter the ring in separate six-round matches. Tickets for the live event begin at $35 and are on sale now. To purchase tickets visit www.ticketmaster.com. The 30-year-old Alexander (26-4, 14 KOs) will end a two-year layoff due to health issues when he steps in against Castillo. Alexander, of St. Louis, Missouri, won the 147-pound world championship with a unanimous decision victory over Randall Bailey in 2012. He lost the title via unanimous decision against Shawn Porter the next year. Alexander, a southpaw, was a unified champion at 140-pounds and owns victories over Marcos Maidana, Lucas Matthysse and Jesus Soto Karass. After campaigning the last few years at 140 pounds, Castillo (26-4-1, 19 KOs) is stepping up to 147 pounds to take on the former champion Alexander. The 29-year-old Castillo, of Managua, Nicaragua, will be ending a 16-month layoff on November 21. Castillo lost by TKO to Sergey Lipinets in a 140-pound clash his last time out after previously fighting to a draw against Keita Obara in a title eliminator. The unbeaten Cruz (16-0, 11 KOs) has been very busy in 2017 as he steps into the ring for his fourth fight this year. The 27-year-old welterweight from St. Mary, Florida scored a unanimous decision victory over Alex Martin in a rematch in his last fight on June 27 after earning a split-decision in their first fight and beating Ali Mammadov in between. The 30-year-old Grayton (15-1-1, 11 KOs) is coming off a technical draw against former champion Kermit Cintron in his last fight on March 17. Grayton, of Washington D.C., suffered the only loss of his career when he was stopped by technical knockout by Bryant Perrella on June 4, 2016 before returning to defeat Kareem Martin in August last year leading up to the Cintron fight. Follow on Twitter @PremierBoxing, @FS1, @FOXDeportes and @Swanson_Comm and become a fan on Facebook at www.Facebook.com/PremierBoxingChampions, and www.facebook.com/foxdeportes. Highlights available at www.youtube.com/premierboxingchampions. PBC on FS1 & FOX Deportes is sponsored by Corona Extra, La Cerveza Mas Fina.